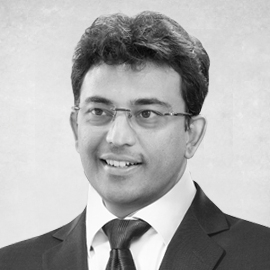 Naveen Lakkur is an ‘Innovation Coach’. He is on a mission, nurturing New-age Leadership through Innovation and Entrepreneurship. He loves to inspire enterprises and entrepreneurs to innovate and guide them to grow in the right direction. In his professional career spanning 24 years in the industry world-wide, he has co-founded several innovative companies. He is passionate about sharing his practical knowledge of building companies and nurturing ideas. He engages with corporates, startups and institutions of repute with his work-shops, some of which form the basis of his books. He loves story-telling. ‘Inseparable Twins’ a book authored by him is a business advisory book to inspire innovation. His latest award winning book ‘FOUND’ provides a framework for ideation. Get to know more about Naveen by visiting http://naveenlakkur.com/.